If your child suffers from chronic headaches, you’re likely willing to do anything in your power to help him or her. Unfortunately, it can be difficult to treat chronic headaches in children, especially if you don’t have a good idea of what the cause of the headache is. Here are a few tips that will help your child cope with chronic headaches and migraines. The main way in which you can help your child cope with chronic headaches is by helping him or her avoid common triggers. For example, you should set regular times for your child to go to bed and wake up because irregular sleeping patterns can lead to headaches. Dehydration is another common trigger of headaches, especially in children who play sports. Your child’ diet should be as healthy and as balanced as possible. You want to avoid making major changes to your child’s diet. Missing meals also results in headaches for many children. Therefore, you should ensure your child eats a healthy breakfast, lunch, and dinner every single day. The glare and flicker of most monitors cause headaches, so you should limit your child’s time in front of the TV or computer screen. There are so many possible triggers of headaches, so it can be very difficult to determine which trigger is causing your child to suffer from chronic headaches. Therefore, you should keep a record of all your child’s headaches. Over time, you should have enough information to determine when headaches are likely to occur and the triggers of these headaches. You should also keep a record of how each of your child’s headaches are treated. That way, you will know which treatments to use to treat future headaches. Chronic headaches and migraines can disrupt a child’s life in substantial ways. For example, your child may miss many days of school because of chronic headaches. Without the support from your child’s teachers, your child may have a difficult time catching up on schoolwork. Therefore, you want to inform your child’s teachers about these chronic headaches. Also, your child may end up feeling left out socially, especially if he or she suffers from weekend migraines, which are migraines that seem to be caused by relaxing at the end of the week. 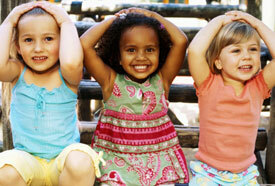 Migraines may limit your child’s ability to participate in activities with friends or families. Therefore, you should ask friends and family members to help make your child feel included. For example, your child can participate in social activities during the week afterschool. Finally, you want to make sure your child sees a doctor so that the cause of the chronic headaches can be diagnosed. This will make your child feel that his or her situation is understood and the doctor will be able to suggest treatments. If you want your child to receive treatment for his or her chronic headaches, you should consider visiting the Goyke Health Center, which is a physiotherapy clinic located in Geneva, IL.